From telephones to lightbulbs to paint rollers, Canada has a storied history in changing the world. Look a little closer at the country's contributions to pop culture and it's even more impressive: John Candy, the Littlest Hobo, Pamela Anderson, Porky's. One could go on. 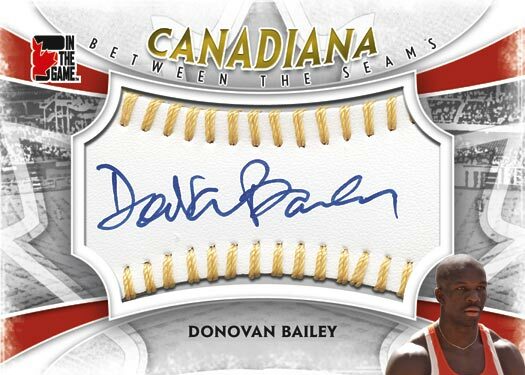 Instead, In the Game is putting its own spin on Panini's Americana line with Canadiana, a premium release that mixes the past and present of Canada's sports and pop culture contributions. 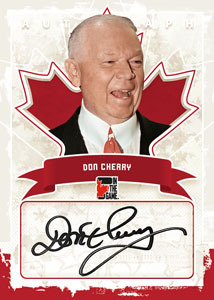 Each eight-card pack includes six base cards from the 100-card set, one autograph and one memorabilia card. 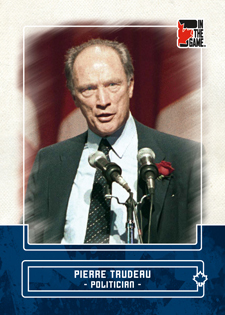 100-card base set featuring Canadian athletes, actors, musicians, politicians and other pop culture icons. Parallels: Onyx, Sapphire and Ruby. 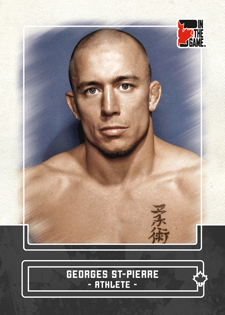 Autographs (1:1) highlight various athletes and celebrities including Pamela Anderson, Georges St. Pierre and William Shatner. 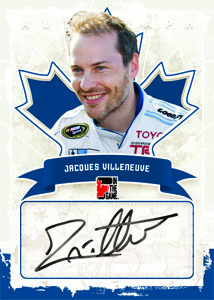 Some signers who have not appeared on autographed trading cards include Michael J. Fox, Dave Thomas and Jacques Villeneuve. 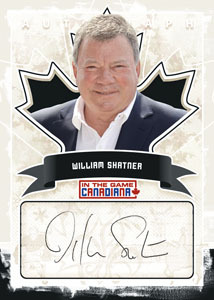 Memorabilia Cards (1:1) go beyond the more generic wardrobe cards found in similarly themed pop culture sets. 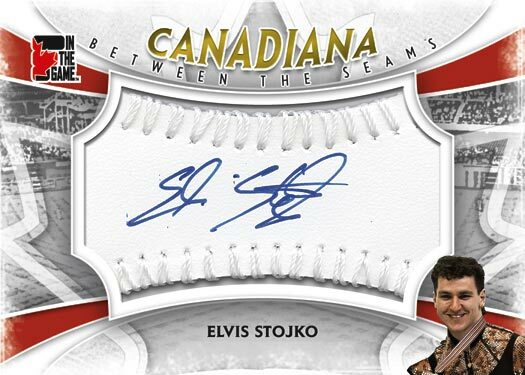 Rather than using pieces of clothing, whenever possible, Canadiana is including special memorabilia pieces including game-used jerseys for athletes and screen-worn costumes for celebrities. Examples include an outfit worn by Pamela Anderson on "VIP" and a toque worn by Elvis Stojko during the Olympic Opening Ceremonies. 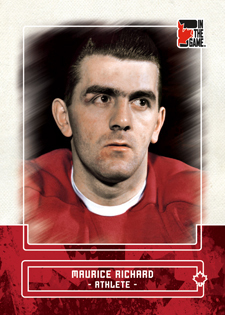 Memorabilia card programs include Double Memorabilia, Mega Memorabilia, Authentic Patch and Tools of the Trade. 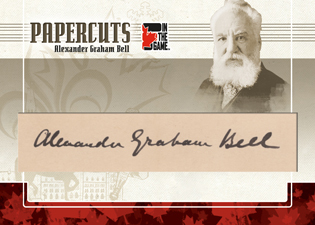 Cut Signature Cards reach deep into Canada's history for a handful of the country's most notable figures. 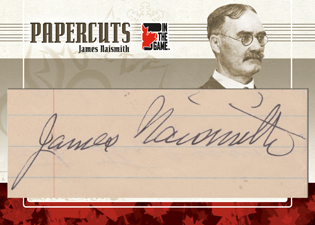 The checklist includes basketball inventor James Naismith, telephone creator Alexander Graham Bell, actress Mary Pickford and WWI flying ace Billy Bishop.